This is not how I generally work. I’ve never met this client and didn’t see pictures of her previous home. She moving from the west coast but got called away on a job leaving me to unpack on my own, and 1 week until she came to town (which was really 4 1/2 days, I have other clients you know). The goal was to unpack as much as possible to see what additional storage she may need. I unpacked the kitchen first as kitchen stuff takes us so much room when packed and I needed the space. She mentioned (the day after I did it) that she and her mother would do it once she got here but the thing is, nothing makes you feel more at home in a new space than when you can use your own dishes and make a meal right away. 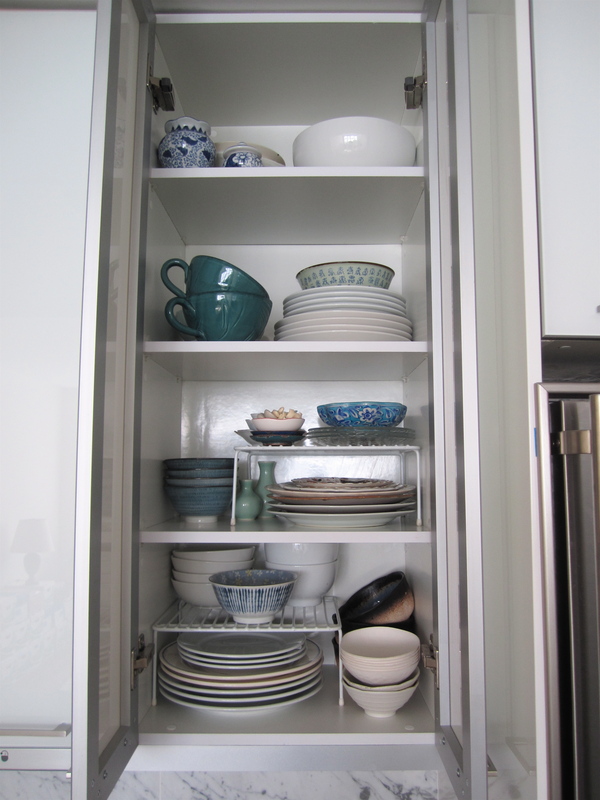 She can always tweak things like if I happen to put the dishes she used the most on the upper shelf. I doubt she’ll keep it but I LOVE the rug in here. It fits perfectly, is super comfy underfoot, and is really beautiful. You did a wonderful job! There is nothing I love more then to rearrange other peoples kitchens! 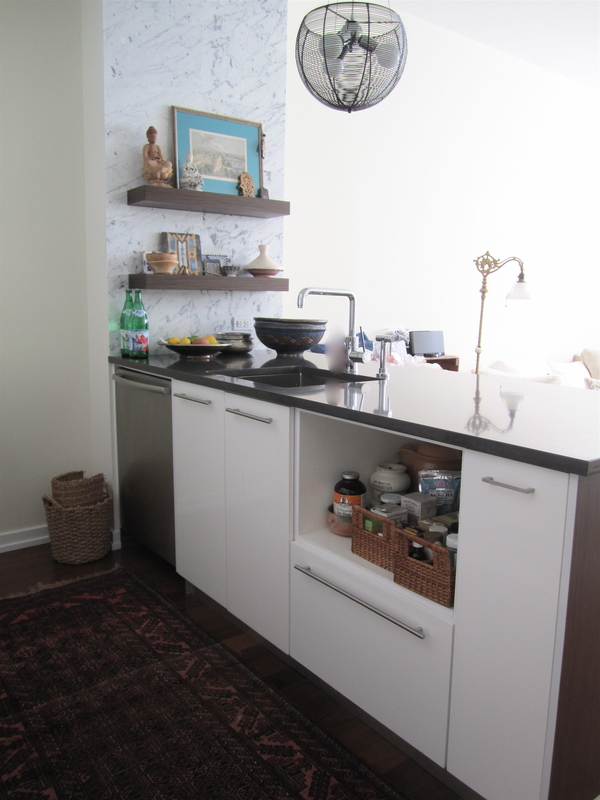 So exciting to see how you can make it work and function better and nicer! Aah, the joy of throwing expired food away! 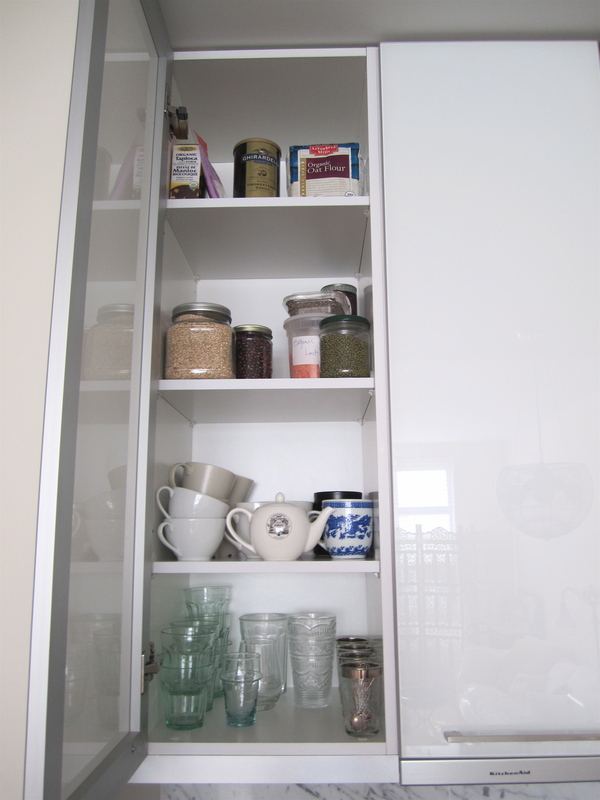 Unpacking the kitchen first – so smart! I moved so many times. I always unpack my kids' rooms first so that they feel at home. i think if I packed up my kitchen and let you unpack it and arrange it, it would be fine . i love "editing" items in my kitchen & cleaning out the fridge. the kitchen looks so lovely and inviting. Perfect! 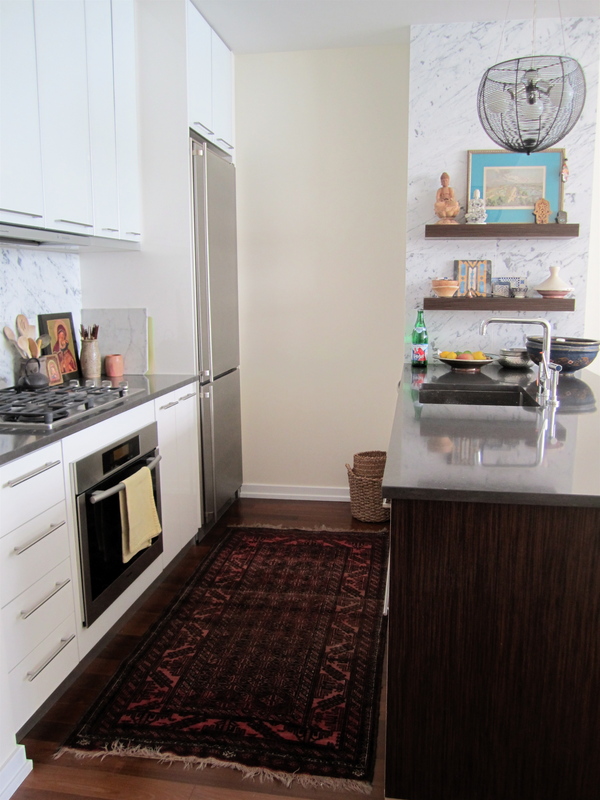 I was never a fan of carpet in the kitchen (usually like a smooth clean floor), that is, until I saw this picture! It's great. 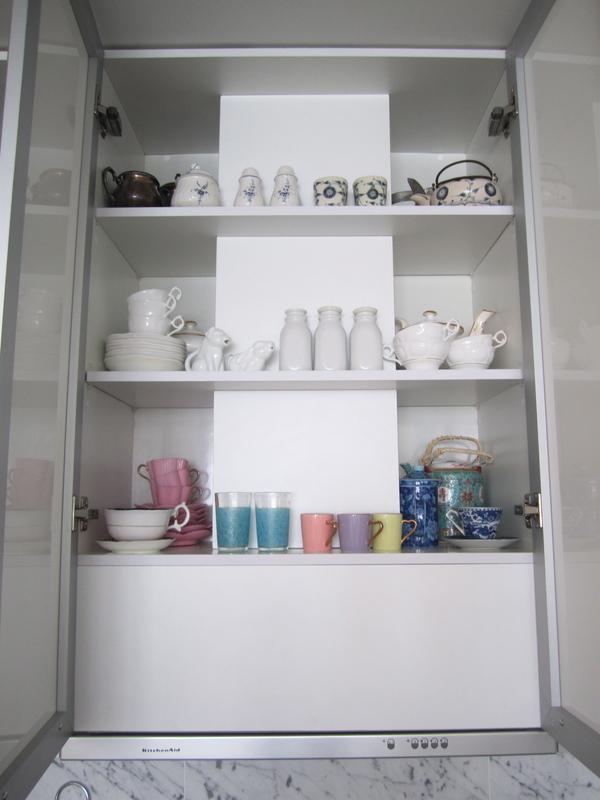 Also, love what you did with the shelves and cupboards! Scotch Guard that rug well!Nothing worse than kitchen schmutz on the rug including oils & other fats. LOVE the carpet there. I hope your client agrees.